Are you one of those kinds who loves going back to nostalgic memories? 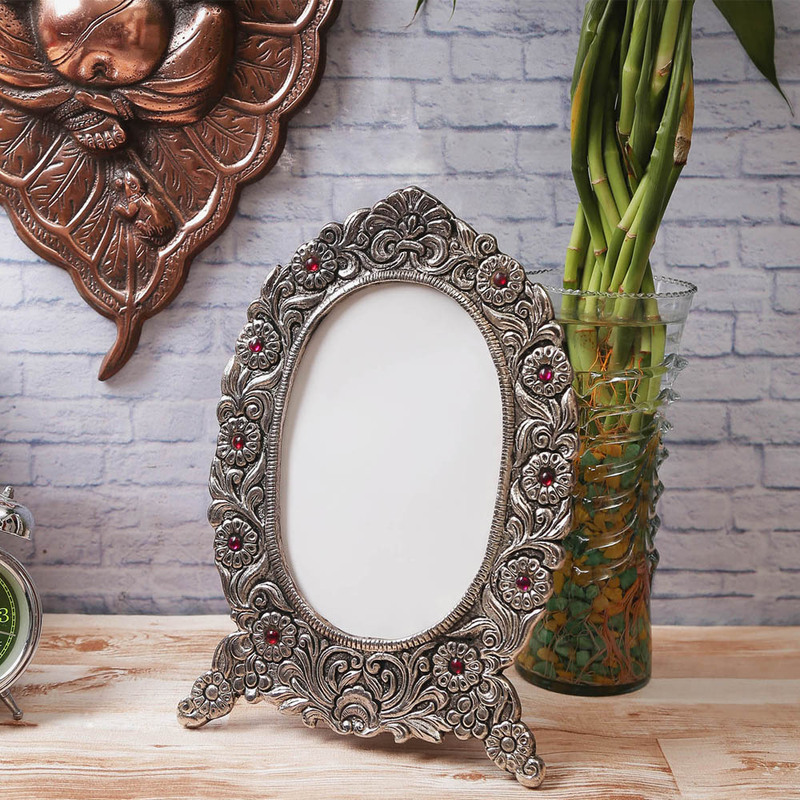 The antique finish white metal splendid photo frame will help rejuvenate your memory with its beautiful and elegant looking frame, embossed with white metal that is simply eye catching. 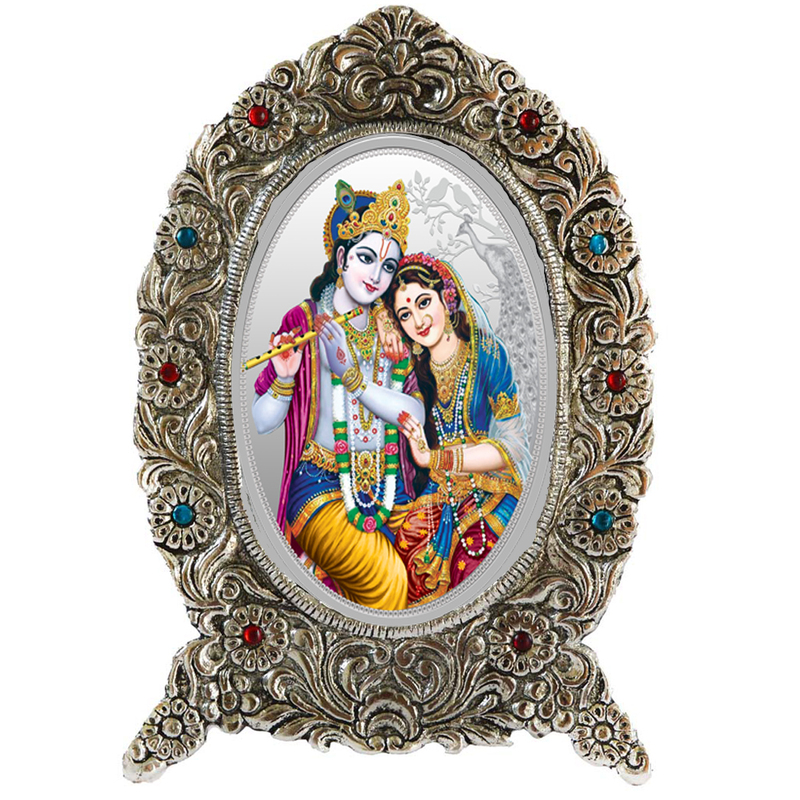 Purchase this wonderful piece of photo frame for your living room or your bedroom. Its versatile design and quality craftsmanship will turn your dream come true into a reality. 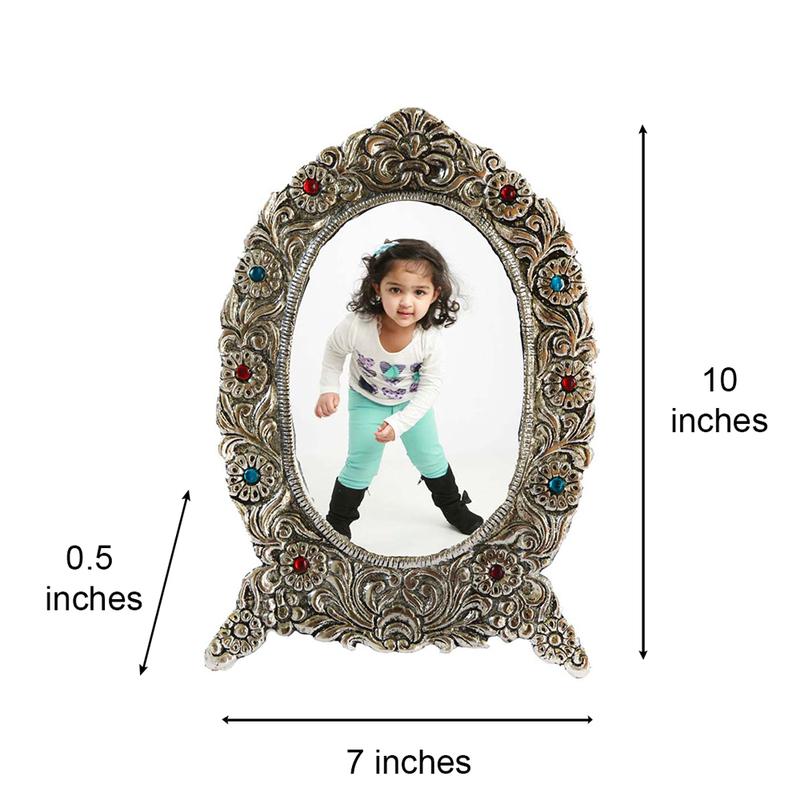 Display some of the most happiest moments of your life with the Antique Finish White Metal Splendid Photo Frame that has been magnificently crafted to Read More..style and perfection. This is an attractive piece of art that has been designed keeping into consideration the tastes and ethnicity of craft. The beautiful piece of craft makes it an ideal gift for your friends and your loved ones as well. This photo frame has been handmade with the best ideas and craftsmanship using traditional methods. Show Less..